Justin Trudeau showed his love for the bleu, blanc et rouge when he spotted somebody wearing a Quebec Nordiques' hat at a campaign stop in Winnipeg on Tuesday. 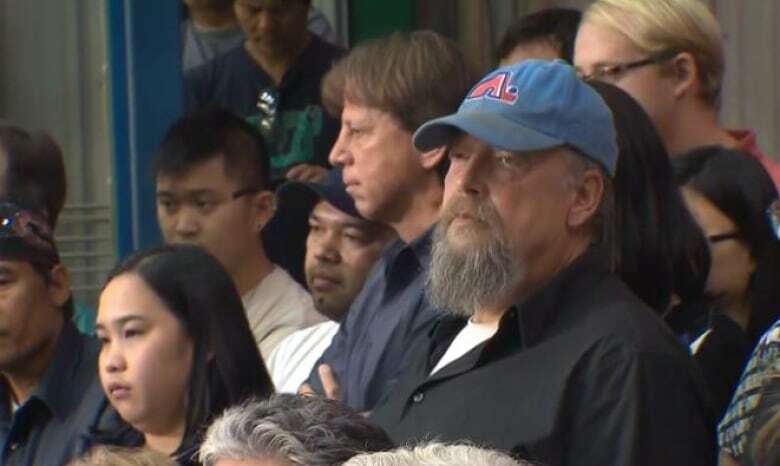 After announcing that a Liberal government would invest $200 million per year over the next three years in high-tech innovation, Trudeau spotted a man wearing a Nordiques' hat in the crowd. The offender sporting his Quebec Nordiques' hat. "I'd love to bring them back, just so the Habs can kick their asses again," he told the man. The man replied: "That's just the opposite, in fact." "We'll have that argument in good due course, and I look forward to it," said the leader of the Liberal Party. The exchange happened to come on the very day that a group from Quebec City is making presentations to the NHL in an attempt to land a franchise. The group is meeting with the league's executive committee as well as its board of governors.